Baby Zander, you are precious and you have an amaaaaaazing head of hair!!!! I got to snuggle him in my Wake Forest studio at a fresh little 9 days old. He was just absolutely gorgeous, and so were his parents, so it was easy to see where it came from! I really enjoyed meeting this family and spending time with Zander! I loved all of his newborn photos, and all of the sweet little poses he did for me. So much goodness! 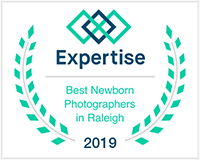 If you’re expecting in the Raleigh Durham Wake Forest area and would enjoy portraits of your newborn baby, please contact me! 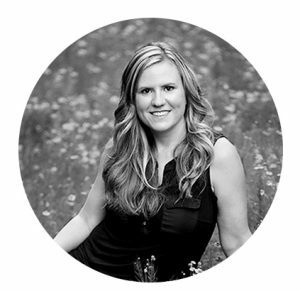 I can be reached through e-mail, or contact me through the contact form on my website (link below) to book your photo session. Thank you so much! Next up to share is the adorable baby Rosalie. She came into my studio in Wake Forest for her newborn portraits at just 12 days old. Her big sister Charlotte, who I also photographed as a baby, came along and we got some great photos of the two girls together! I loved seeing Charlotte again, and catching up with the new family of four! Rosalie did so great for her newborn portraits. She was so calm and a sweet baby. So many favorites to share! Handsome baby Beckett! I just love his name, and I believe it’s my first time photographing a baby named Beckett! He was 11 days old for his newborn photo session. And absolutely adorable and perfect. He’s baby number one for this family, and with how cute and happy he was, I think they should go for a few more. 🙂 I did some setups I loved with little Beckett — some of my favorites were the taco pose on the grey blanket, and of course the ones of him snuggling the bear in that tiny chair! And he posed so sweet and perfectly in that blue wire basket too. I was really loving his black and whites also, so I included a lot of those here. Sooooo much cuteness!! Here are ALL of my many favorites! This absolutely adorable baby boy is Wesley! I was so excited for his session so I could see his sweet family again. I had the honor of photographing Wesley’s older brother – both his newborn photos and throughout his first year. So I was delighted when I learned they were expecting another baby boy. Wesley’s Mommy said she really wanted the head-in-hands shot (aka the froggy pose as we photographers like to call it). So not only did baby Wesley totally nail that shot, he even gave a perfect grin to make it all the more adorable for his Mommy. I can tell he’s going to be a well behaved child!! 🙂 Here’s my favorites from Wesley’s Raleigh newborn photo session! Sweet baby Nolan!! This handsome little fella was 14 days old for his newborn session, which I think is a magic number! He slept so peacefully and was so perfect throughout all of the poses. And just check out the hair on Nolan. Long and blonde, which is just so unusual and beautiful. He has an adorable older sister named Ellie, who did so great for her part in the session. I loved her big smiles and how well she did with her baby brother. This was such a fun session for me! Check out some of Nolan’s beautiful photos!